On the Air: Get on the Air for the ARRL September VHF Contest! Your League: ARRL Audio News Returns September 20! 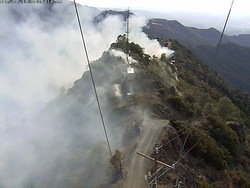 The Radio Amateur Civil Emergency Service (RACES) went on standby alert and the Red Cross and the Salvation Army Team Emergency Radio Network (SATERN) were reported to have been called out earlier this week in the wake of the so-called Morgan Incident Fire, in chaparral southeast of Clayton, California. The blaze, on the eastern flank of the north peak of Mount Diablo, put at least four Mount Diablo Amateur Radio Club (MDARC) repeaters off the air September 8. "MDARC and SATERN work hand in hand on most activities from training and license courses to call outs," MDARC President Jim Siemons, AF6PU, said. "We have a memorandum of understanding between SATERN and MDARC for use of the W6CX repeater system during emergencies. That repeater system was directly threatened by the fire. For 24 hours W6CX repeaters were only taking emergency and priority traffic." Repeaters taken down include the K6MDD D-STAR repeater, the W6UUU MotoTRBO repeater, the recently relocated W6CX APRS digipeater and the W6CX ATV repeater. Siemons says the condition of the equipment is unknown. The W6CX APRS digipeater was moved to the north peak of Mount Diablo after vandals toppled the communications tower on Rocky Ridge. "MDARC seems to have gone from the proverbial frying pan into the fire," Siemons said this week. The fire, under tinder dry conditions, grew rapidly and raced to the mountaintop. "In an amazing testament of the bravery and tactical skill of hundreds of firefighters, a minimum amount of damage was sustained to the five communications towers on North Peak," Siemons reported. "The worst [damage] was to what is referred to as the 'Amateur Radio tower.'" Mains power provided via Pacific Gas and Electric to Mount Diablo is down, and those with generators are operating via that mode." He said no one is predicting when power will be restored; approximately 25 power poles were consumed in the fire. By September 12, the fire was considered 80 percent contained. So far it has claimed some 3200 acres. Read more. Everything about the MARS "Pacific Endeavor-13" exercise was simulated, except the power failure in "Pacifica," the fictitious disaster-battered Asian nation that a small band of amateurs was seeking to assist. The Pentagon and US Pacific Command set up the drill as a test of Amateur Radio emergency support in Asia in the aftermath of Japan's tsunami catastrophe. 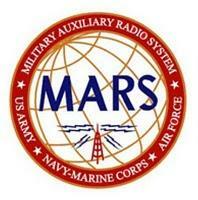 MARS, military stations and amateurs collaborated. The blackout occurred at the outset of the US Department of Defense globe-spanning exercise August 25-26. A star of the show was PSK31, which performed well, even in the otherwise grim propagation that prevailed during PE-13. "We had stations monitoring in the Continental US, Hawaii, Japan, Germany, and Afghanistan," said Army MARS Program Officer Paul English, WD8DBY. "There was only intermittent reception in Germany and the US on PSK, but we had a solid connection between Nepal and Afghanistan." Power was restored in Nepal about two and a half hours into the exercise, enabling "marginal voice communications" from Nepal to Afghanistan and Germany. He said Hawaii could hear, but not talk to, Nepal. Propagation sufficient to support voice modes lasted just a few minutes. At 9N1AA in Nepal, the real "Pacifica," two operators forged ahead on battery power, running just 25 W. But a stroke of the other kind of luck provided a low-power digital link to an amateur in Afghanistan. Tim McFadden, KB2RLB/T6TM, a retired Army communicator now helping train Afghan troops as a contractor, had joined Army MARS less than a month before the exercise. McFadden, who spent 21 years in uniform, went for his ham license after watching a fellow soldier work a pileup with only 100 W while they were deployed in Turkey during the 1991 Iraq War. He used a homebrew delta loop and a G5RV installed as an inverted V for his Yaesu FT-897D. To avoid unwanted alarm, participants avoided the type of language typical of an emergency. Instead, all communication used terms from the game of cricket. In preparatory exercises, traffic was disrupted by hams seeking to contact Nepal, a "rare one" for many hams. Resorting to abbreviated call signs and dependence upon digital modes during the exercise alleviated this problem, although DX hunters did show up during a brief period of voice transmission. 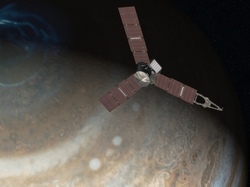 NASA's Juno spacecraft will fly past Earth on October 9 to receive a gravity assist, putting it on course for Jupiter. To celebrate, the Juno mission is inviting Amateur Radio operators around the world to say "HI" to Juno in a coordinated Morse code message. If enough operators participate, Juno's "Waves" radio and plasma wave experiment should be able to detect the message. The Say "HI" to Juno web page will be updated with additional information as the event approaches. All transmissions will take place on 10 meters, with the precise (suggested) frequency determined by the last letter of your call sign (see Juno Flyby Frequency Table, below). Sponsors say Juno will have a better chance of detecting signals from many operators if the transmissions are spread out across the spectrum. The Juno Waves instrument is a broadband receiver, and the detector being used for this event has a passband that's 1 MHz wide. Indicators on the Say "HI" to Juno web page will instruct participants when to transmit and when to stop transmitting. Each will have a timer to indicate how long until you switch from one mode to the other mode. Stations should transmit a legal station identification as the FCC or non-US regulators require. Participants should consider their stations to be operating as attended beacon stations and should avoid transmitting on top of ongoing communications. Stations with directional antennas should check the web site for information on what headings to use during the event. Visit the Say "HI" to Juno web page for full details and to obtain the latest information. 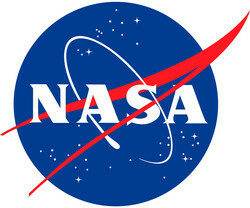 The activity begins October 9 at about 18:01 UTC and continue until about 20:41 UTC. Operators taking part should make sure their computer clocks are synchronized to network time prior to the event. The web page will indicate when you start or stop transmitting (key down/key up). World Radiosport Team Championship 2014 (WRTC-2014) organizers remind prospective competitors that all team leader applications are due by Friday, September 13. So far, more than 100 applications have been received for the international competition set for July 8-14, 2014, in New England. Not everyone who qualifies will submit an application to compete in WRTC-2014, so if a top qualifier does not apply, the next eligible qualifier to apply will earn the spot. Two "wild card" slots will be filled from the remaining applications. You must submit an application to be considered! A new WRTC-2014 Rules FAQ Page has been posted to help answer competitors' questions about how things are supposed to work. The Rockwell-Collins Amateur Radio Clubs will sponsor special events September 21-23 and September 28-30 to celebrate the 80th anniversary of the incorporation of Collins Radio. Stations NØCXX and WØCXX will be on the air from Cedar Rapids, Iowa; W5ROK from Richardson, Texas; W4CRC, from Melbourne, Florida, and W6CXX from Tustin, California. Operation will be from 9 AM until midnight local time for each station, pending operator availability. Commemorative QSL cards and certificates will be available. Operations will be on all HF bands except 60, 30, 17 and 12 meters. On CW listen for "CQ CR80;" on SSB, "CQ Collins Radio 80th Anniversary Special Event." The ARRL September VHF Contest is this weekend (1800 UTC September 14 to 0259 UTC September 16), providing a chance for radio amateurs of all levels to experience contesting on our higher bands. This event is markedly different from the June VHF Contest, due to the heightened potential of excellent tropospheric propagation. Activity will center on 50.125, 144.200, 222.100 and 432.100 MHz. These are calling frequencies, however, and contest participants should avoid monopolizing them. On 6 meters, the most popular band, most SSB activity will take place between 50.125 MHz and 50.250 MHz, and CW between 50.080 MHz and 50.100 MHz. The frequencies between 50.100 MHz and 50.125 MHz are considered a "DX Window," for contacts between W/VE and DX stations, so avoid US-to-US contacts in that part of the band. Check the band plans for details on all bands. Even FM operators can get in on the fun by competing in the FM-only category. FM simplex activity on 2 meters will center around population centers. Remember: ARRL General VHF Contest Rules prohibit contest operators from using the national simplex frequency of 146.52 MHz to make or solicit contacts. Rules and entry forms are on the ARRL website. All logs must be e-mailed or postmarked no later than 0300 UTC on October 16, 2013. Electronic logs are preferred. Send paper logs to September VHF Contest, ARRL, 225 Main St, Newington, CT 06111. The Amsterdam Island FT5ZM DXpedition team says now that it's paid for its charter voyage on the MV Bravehart, it's "fully vested" and "there is no turning back now." The DXpedition, headed up by Ralph Fedor, KØIR, is set to run for up to 18 days between January 15 and February 20, 2014 (including setup and teardown). The FT5ZM DXpedition is the recipient of a Colvin Award grant, although it remains short of its fundraising goal. Amsterdam Island is the seventh most-wanted DXCC entity, according to the ClubLog DXCC Most Wanted List. The team reports its progress "continues unabated," with all gear now at the Atlanta staging area or undergoing final testing in preparation for shipping. The international team members continue work on the outstanding aspects of the adventure as the departure date approaches. "Our next payment is due in December, so like all major DXpeditions of this magnitude, we will feel the cash flow crunch shortly," the team announced on its website. "All the team members will sleep a little better knowing you have our back." ARRL Audio News will return to the ARRL website Friday, September 20. The popular webcast has been on hiatus since June to install new technology and make several improvements. ARRL Public Relations Manager Sean Kutzko, KX9X, will be at the helm as producer and newscaster. Stories will come from that week's edition of The ARRL Letter, and the weekly webcast, approximately 15 minutes long, will be available each Friday afternoon for downloading as an MP3 file. Kutzko is inviting ARRL members to become a part of ARRL Audio News by submitting "station identifications" in MP3 format. "I'm looking for members to send me MP3 recordings, identifying who they are," he said. "They need to follow this script exactly: 'I'm ARRL Member <your name and call sign> of <your location>, and you're listening to ARRL Audio News.'" Kutzko says the audio needs to be as clear as possible, and the letters in your call sign need to be distinct, especially if your call sign contains a letter that sounds similar to other letters (such as B, C, D, G, Z, etc). "IDs that are clear and well-recorded will be considered for use in ARRL Audio News," he adds. Many electronics and communications industry engineers and managers got their start with Amateur Radio, which provided hands-on, system-level experience that proved valuable in their professional lives. Through hours spent in radio clubs crackling with activity, ham radio stayed right with them through their college and university studies. Things are a bit different today, but academia is making room for -- and use of -- Amateur Radio in the classroom and lab. This was plain at the 2013 International Microwave Symposium, held in early June in Seattle. The event drew more than 12,000 engineers, educators and students, among them for the first time representatives of the ARRL. At this "World Series of RF," topics and systems covered frequencies from 500 kHz through several hundred gigahertz. One college-level program using Amateur Radio is at the University of Colorado. Led by Professor Zorana Popovic, ACØXJ, students gain experience with real RF by obtaining their ham tickets and building a NorCal 40 QRP transceiver. This provides the students with the practical experience of building, troubleshooting, and using radio communication systems in a way textbooks and simulation cannot. At the IMS, a University of Colorado team won the "wireless harvesting" competition by 7 dB. The goal of the event was to extract power from RF fields at 915 MHz and 2.45 GHz with a field strength of about 1 µW/cm2 and power a 2.2 k ohm load. At McGill University, Zorana Popovic's daughter Nina Popovic, KDØPJI, is exploring dielectric mirrors in the terahertz region, using silicon instead of the usual metal surfaces. She is experimenting with curving the surface and attempting to determine radiation and scattering patterns while struggling with the lack of test equipment at these frequencies. Nina Popovic has been into electronics since she was in single digits, and was even doing her own soldering at the age of five. Another example is a liquid metal antenna array by Andy Morishita, WH6DUG, of the University of Hawaii-Honolulu. A master's degree student, Morishita is the communications lead for the university's upcoming Ho'oponopono CubeSat launch later this year. His reconfigurable Yagi-Uda monopole arrays at 2 to 4 GHz used tubes of GaInSn -- a liquid metal alloy -- to form antennas and filters. From the many professional visitors to the ARRL booth, a consistent message was received loud and clear, said Ward Silver, NØAX, an engineer and ARRL contributing editor, who attended the event. "Senior-level professionals frequently noted that to contribute in industry, graduating engineers need more practical and system-level experience of the sort that can be provided by Amateur Radio," Silver recounted. The need for experience RF personnel on all levels is urgent, he pointed out, and industry professionals "were very encouraged to see the ARRL in attendance at the conference and urged us to attend future IMS conferences." Looking into the eye of the sun, 'cause, mama, that's where the fun is, is Tad Cook, K7RA, in Seattle: Sunspot activity was very, very quiet over the past week. For the reporting period September 5-11, average daily sunspot number was only 37.7. The average sunspot number has not been nearly that low since the reporting week of June 6-12 of this year, when it was 39.6. The last time it was lower was during the reporting week of June 21-27, 2012, when it was 26.3. Australia's IPS Radio and Space Services issued a geomagnetic disturbance warning at 2330 UTC on September 11. They expect increased geomagnetic activity due to a high speed solar wind stream spewing forth from a coronal hole. They expect unsettled to active conditions on September 12, with a chance of isolated minor storm levels, unsettled to active conditions again on September 13, and quiet to unsettled conditions on September 14. It then drops to a minimum of 95 on October 4-5, and reaches a maximum of 120 on October 18-19. In the September 13 bulletin we expect a report from N8II and others. Deadline for comments is Friday, September 13, 0600 UTC.